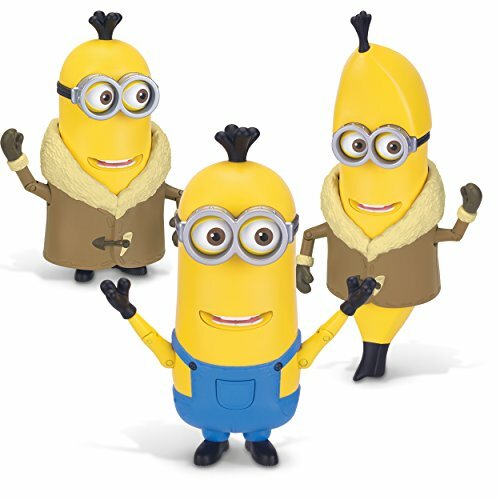 Change his parts to minion Kevin, Ice village Kevin or a banana. Articulated armes & feet. Parts included. 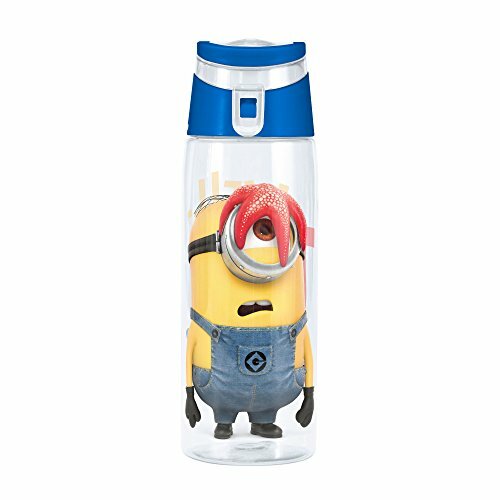 Keep your family hydrated with one of the minions from despicable me 2 on this Tritan water bottle by Zak designs. Made from durable Tritan plastic, this water bottle is shatterproof, break-resistant, durable and leak-proof. It has a handy built-in carrying loop and the easy-open, flip top cap locks into place when open so it won't hit you in the nose and it seals tight when closed, so nothing will spill. The water bottle has a wide mouth opening that easily accommodates ice-cubes. This reusable bottle will last wash after wash; good for you and good for the environment. 25-ounce capacity, BPA free and dishwasher safe, but do not microwave. By Zak designs, making mealtime fun. 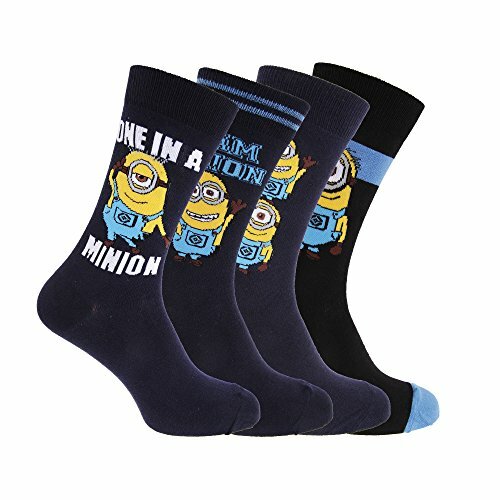 Mens Despicable Me ankle socks. 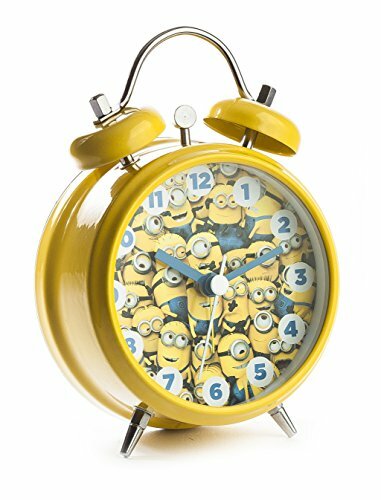 Each pair featuring a Minion character. Ribbed tops. size: US 7-12 (EU 39-45). Fiber: 51% Cotton, 29% Polyester, 19% Nylon, 1% Elastane. Machine washable at 30c. 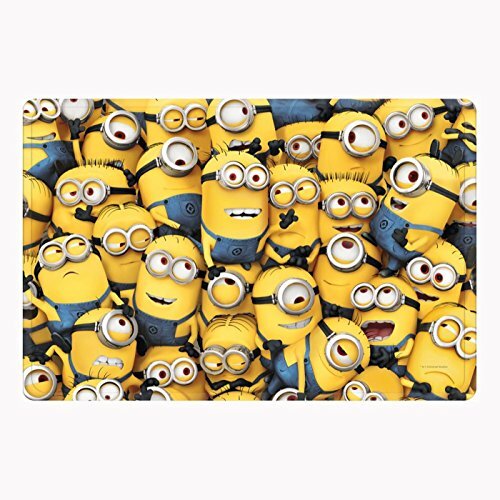 Official Despicable Me merchandiseFun rectangle floor matFeatures a sea of MinionsMeasures approx: 40cm x 60cm (15.7in x 23.6in)Material: 100% polyesterNon-slip backingSponge clean onlyMain colours: Yellow / BlueCoordinating bedding and bedroom items availableThis fantastic Despicable Me Minions features a sea of Minions and is perfect for all fans of these little creatures! The mat has a non-slip backing and feels soft and squidgy under-foot. Other coordinating bedroom items are also available to purchase from our store. Take one of the minions from despicable me 2 along with you on your insulated tumbler by Zak. designs; a fun way to enjoy your favorite cold beverages. The double-wall insulation keeps drinks cold longer and prevents condensation. The cup has a 16-ounce capacity, includes a screw on lid and straw with a stopper to prevent it from falling out. Made of durable, BPA-free plastic that will last wash after wash for years of enjoyment. Good for you and good for the environment. dishwasher safe but do not microwave. By Zak. designs, offering a wide variety of high quality dinnerware, travel ware and home products for contemporary and on-the-go lifestyles. 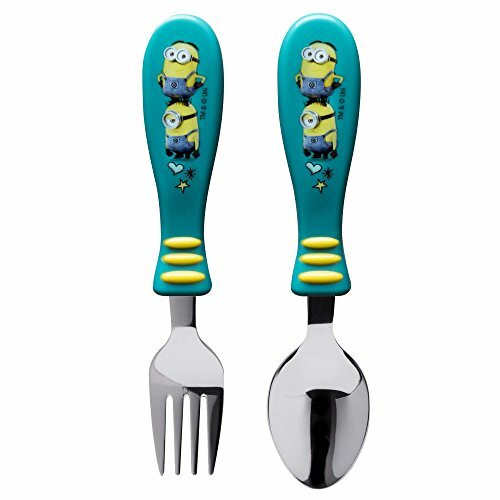 This flatware set is perfect for little hands and fun loving eaters, featuring Despicable Me 2 Minions. The smaller size and rounded handles allow for a better grip and encourages independent eating. Each set comes with one spoon and one fork. Made of stainless steel and BPA-free plastic. They are easy to clean, dishwasher safe, but do not microwave. By Zak Designs, making mealtime fun. 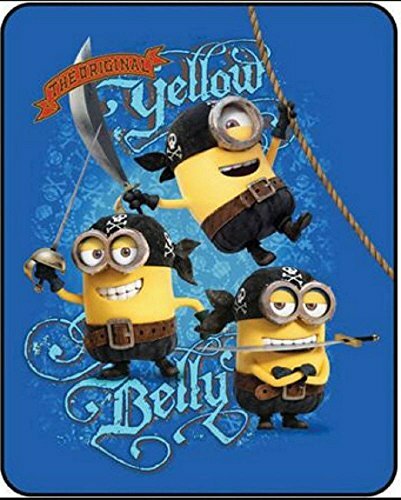 What's New At Universal Orlando | A Minion Obsession, Mummy Gift Shop & New Merch!